This is a view of what appears to be a pram race or a procession starting on Cantilupe Road, going around onto Gloucester Road towards the Market Place, with a large crowd watching; some of the prams appear to be decorated with flowers. 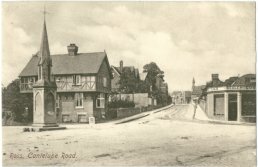 On the right can be seen a garage (Butcher and Casson's) and there is a car parked on the side of the road with a man sitting a little further up the road. Just to the left of Cantilupe Road is an open space (where "Crows Feet" is now) with horse drawn carts parked on it. 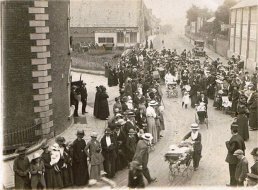 The first building on the left is the Baptist Chapel (now the registry office). 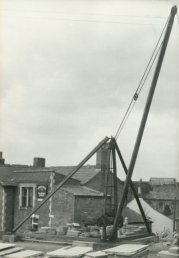 On the side of that is a sign pointing down Henry Street advertising Arthur Overton who had a Stone Marble and Granite Monumental Works. 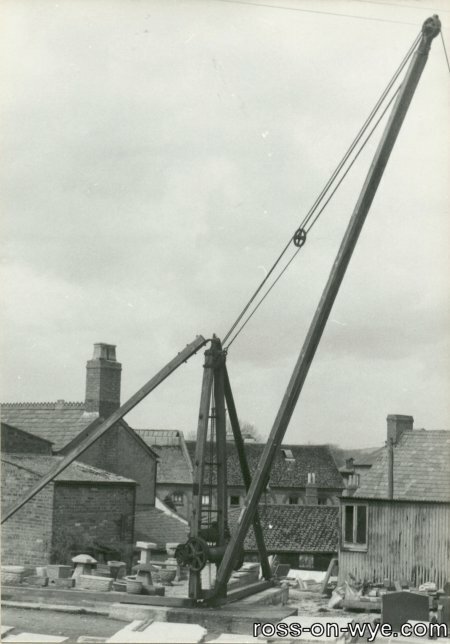 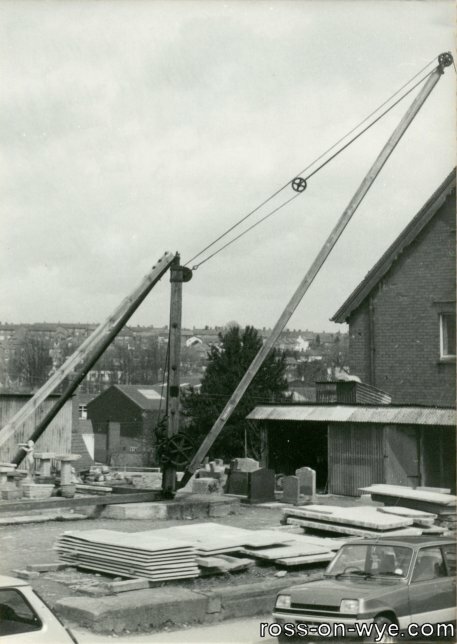 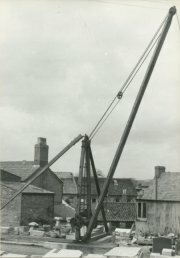 In the yard at Ursells on Cantilupe Road stood a crane that was used for lifting the blocks of stone around. 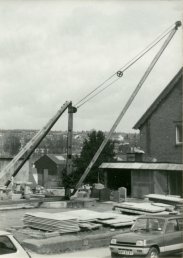 As can be seen in the photos, there was not even a fence around the site. 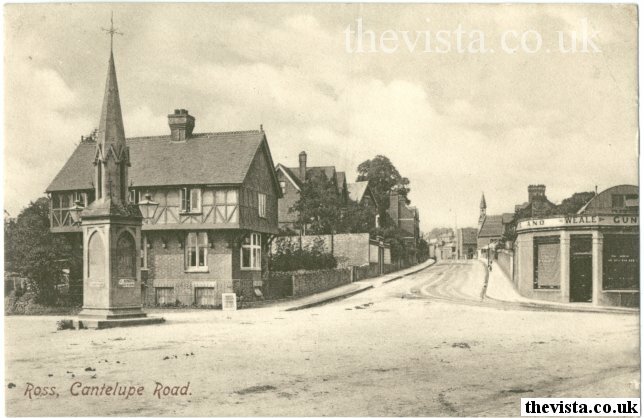 This postcard view of Cantilupe Road, interestingly spelt "Cantelupe Road" on the card, was postmarked in 1943. 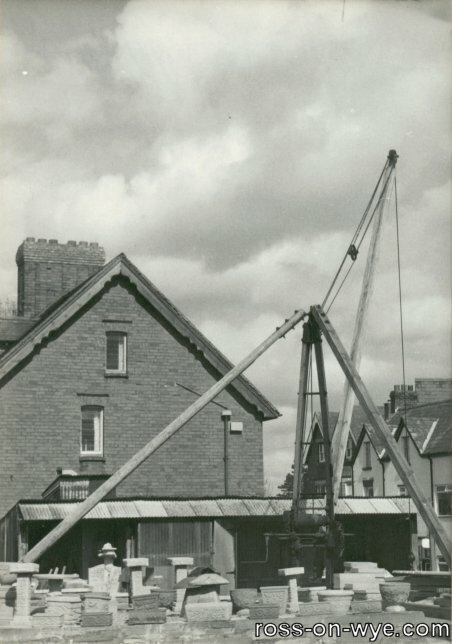 On the right is the shop where Arthur Weale ran the Wye Valley Cycle and Gun Works, which has since been replaced by the TC Longfords Car Showroom and Garage and then Newent Windows. 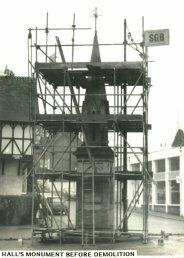 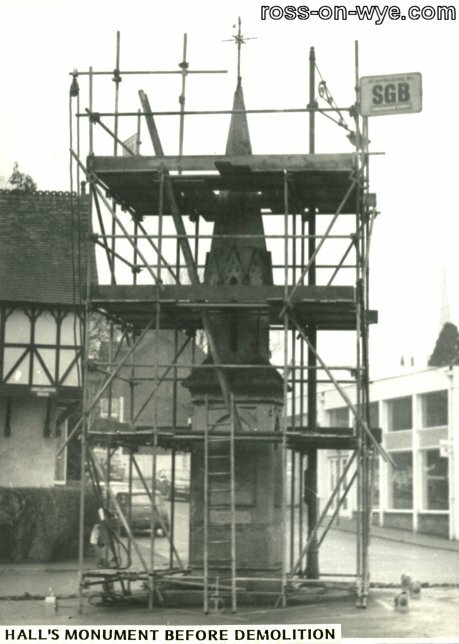 This is the Wallace Hall Memorial before it was moved, and remodelled, from the junction to its present location at the entrance to Smallbrook Gardens.